When you bring a puppy into your home, dog training is essential. Everyone loves a well-behaved dog, but one that jumps or is hyper and disobedient to its owner can quickly become a problem. Also, depending on the breed of your dog, some people will be afraid of it naturally, whether that is due to the reputation of the breed, the sound of its bark, or its size. These are all things that can be overcome, but one of the worst traits in a dog is aggressiveness towards other dogs or humans. While it can be a good thing for your dog to be protective of you and your family, you should be able to calm them easily. Unfortunately, dog bites continue to be a big problem in the United States, as nearly 7,000 postal workers were bitten in 2016 alone Aggression is usually the fault of the owner due to lack of training. Often owners do not understand how the mind of their dog operates, and it is important to do research on tthe right pet for your family before you purchase or adopt a dog. The breed of the dog that is right for you will depend on how much work you will need to do to become its pack leader, or alpha. Dogs are naturally protective of their “pack” or family, and must trust you to be that pack leader or they will take a more aggressive role in that protection. It is also important that dogs are introduced to people and other dogs who will give them a positive experience, and that you understanding-aggressionunderstand the reasons for dog aggression . If your dog is mistreated by a person or another dog, they may become naturally more aggressive towards similar people or dogs. They can be trained out of this behavior, but it takes a long time and a lot of exposure to positive experiences to erase the effect of the negative ones. Here are some simple ideas. Use dog parks. Usually these places are filled with dog people who control their dogs, and whose dogs are also being socialized. Enroll in classes. These not only teach your dog new tricks, but they also use up a lot of their energy, especially when they are puppies. This lets them interact with other dogs and dog owners early, giving them a foundation of positive experiences. Exercise your dog in public. 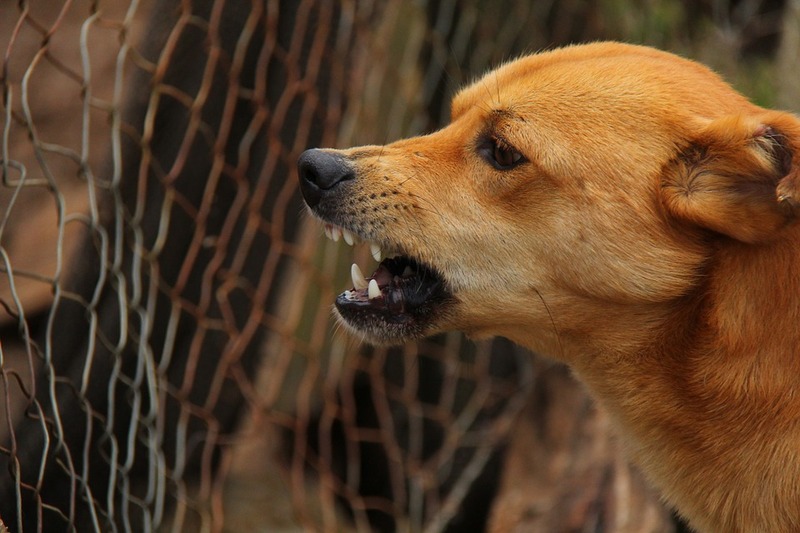 Often an aggressive dog is a frustrated dog who is not getting enough exercise or play time, and has pent up energy. Exercising them in public makes them interact with other people and dogs. Socialization from a young age is essential for the proper development of your dog and the prevention of aggressive behavior. How do you want your dog to greet strangers who come to your home ? Do you want them to sit or remain in a downstay until you release them? The key to this is practice. Invite new people to your home and introduce them to your dog, but be sure they know what is expected of them and the dog. If your visitors encourage your dog to jump, he will. Here are some things to know about greeting practice. Give your dog the command you want them to follow. Have the visitor ignore them at first, encouraging them to stay in the position or place you want them. Introduce them calmly, and have your visitor remain calm at first as well. Have the visitor reinforce the command you gave, and give treats, praise, or toys (whichever way you’re training/is your dog’s preference) to let them know they did a good job. Your dog will make mistakes and fail. If they do, start the introduction over. This will require patience on your part and the part of your friends, but if you stick with the right kind of greeting practice, it will pay off in the long run. If you Google different types of dog training, you will get any number of answers, and an interview with dog trainers near you will get the same result: there are different answers for every dog problem, but they all have one thing in common: focus (and attention) equal control. The more focused your dog is on you, their alpha and pack leader, the more control you have. This can be done through a number of ways, from the “look at me” command to using a whistle, clicker, squeaker, or other device to get them to make eye contact with you. This attention getting can work at a distance with a whistle collar or even a shock collar as long as it is used properly. The idea of all these devices is to get the dog’s focus back on you, their trusted pack leader. The greater the trust you have with your dog, the less likely they are to be aggressive and the more control you will have over them in new situations. One of the primary keys, besides starting early, is to avoid violent responses to your dog’s behavior. This will only teach them that violence is the way they interact with you, and that may translate to their interactions with other people as well. While there may be times when you have to raise your voice and be firm with your dog or pull them out of a situation, hitting or kicking them will only increase aggressive behavior. Training your dog to not be aggressive will take patience and effort on your part; if they have had a negative experience, it will be even tougher. But it can be overcome with the right training and practice.